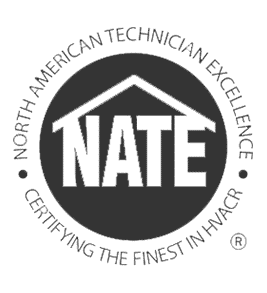 Find out why American Heating And Cooling has been the trusted air duct cleaning company for the Nashville area since 1981. Need Air duct Cleaning in Nashville? What comes to mind when you think of regular cleaning tasks? Dusting, vacuuming, and sweeping probably top the list. For most of us, these are routine tasks that need to be performed on a consistent basis. But what if there was a way to cut down on the amount of dirt and dust you need to remove from your home or office? What if you could spend less time dusting and sweeping (or less money paying someone else to do it!) and more time enjoying the comforts of your home or office? Regular air duct cleaning can help you do just that by removing dust and dirt before they circulate throughout the area by air and affect your air quality as well as the appearance of your home or office. The purpose of air ducts is to circulate heated and cooled air throughout the building. Dust, pollen, allergens and mold spores accumulate over time in air ducts. This debris doesn’t lie dormant inside the air ducts. As your HVAC system operates, these particles are blown throughout the building as they cycle in and out of the intake vents. But the debris inside these air ducts doesn’t just circulate throughout the building; it also affects the indoor air quality. Other factors such as cigarette or cigar smoke, pets, renovations, remodeling projects, and water damage can also increase the amount of dust, dirt, and mold found in air ducts. Substantial mold growth and vermin infestations are also two tell-tale signs that air duct cleaning is needed. While all occupants of a building can certainly be affected by poor indoor quality, children, elderly people, and those with asthma and/or allergies are at a higher risk. It’s not going to fix itself. Jokes aside, these kinds of problems rarely get better on their own. Instead of waiting it out, your best bet is to get it fixed before things get worse. We often associate allergies with irritants outdoors such as pollen and grass. These are common issues for those with allergies and can make their way into your air ducts. However, there are 3 other big irritants to keep in mind: dust, mildew, and mold. They build up over time in your air ducts and can trigger allergy and asthma symptoms.If you’re dealing with frequent respiratory problems in your household or office, it’s worth having your air ducts inspected by an experienced HVAC professional. Regular air duct cleaning will reduce the irritants circulating in your air and increase the comfort of your home or office. That’s something anyone, even those without allergies, can appreciate and benefit from! Who doesn’t want to breathe cleaner air? Clogged up ducts can have a major effect on your airflow. As dust and dirt build up, they prevent the airflow from flowing properly, meaning your HVAC system has to put in more work to cool or heat the building. Regular cleaning allows better quality air to circulate more efficiently. It all adds up to a more efficient system and less money wasted! Who doesn’t want a cleaner home or office? Cleaning your air ducts probably isn’t the first thing that comes to mind when you think of tidying up your space. But it’s one of the best ways to cut down on the dirt and dust that circulates from room to room. With clean air ducts, you can spend less time dusting, and more time enjoying a clean environment.Did you know air duct cleaning can also make your home or office smell more pleasant too? As particles from pet dander, tobacco, food, and dust build up in your air ducts, the odors circulate as your HVAC system runs. Cleaning out those air ducts gets rid of musty odors so you can breathe easier! It affects the value of your home. A well-maintained home is always more attractive to a prospective buyer. Buyers are quick to take note of poorly functioning units as are home inspectors. Why not keep your system in good shape before it’s time to think about selling? It’s important to only work with companies that are properly licensed with your state or municipality, carry liability insurance, and are bonded. Otherwise, you could be responsible for bills incurred due to injuries, poor workmanship, destruction, and accidents. Your home insurance typically won’t cover these kinds of costs so secure your peace of mind by selecting an HVAC professional who is licensed, bonded, and insured. Any HVAC company should be happy to provide customer references. Once you get the references, be sure to follow up and find out how the services were, if the projects were successful, and how well the products performed. You’ll be glad you did your due diligence. How Long Will My Air Conditioner System Last? There are several factors that affect the life of your air conditioner system including use, demand, model, care, and environment. Quality air conditioning systems that are well cared for typically last around 15 years. We offer preventative maintenance agreements so you can ensure your system is well taken care of and in great shape. Your AC unit is over 15 years old. Your energy bills are steadily climbing. The cost of repairs is more than half the value of your current system. While it’s certainly great to be well-rounded, too many companies spread themselves thin trying to do it all and may not have the resources or services you need. Look for a company that makes HVAC their singular focus. They should offer repair, replacement, installation, and maintenance services. What Does SEER mean and What’s a SEER Rating? A SEER rating is a Seasonal Energy Efficiency Ratio, which measures how efficient your air conditioning and heat pump cooling are. A higher SEER rating indicates higher efficiency and vice versa. Air conditioning units typically range from 13 to 21 in their SEER ratings. Keep in mind that other factors in your home can also affect the efficiency of your system. Do You Offer Financing for New Cooling Systems? We understand that purchasing a new system is a financial investment. That’s why we offer financing so you can make convenient monthly payments and maintain your budget. You can pay your bills and manage your account directly online. Be sure to inquire about special financing offers and our flexible options. Our proven brands, strong reputation in the Nashville community, experienced service department, and knowledgeable sales staff speak for us. We’d love to help you find the right solution for your heating or cooling problem.